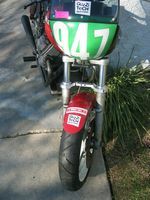 Ed’s First racer, this 1977 Lemans has won races at Willow Springs, Thunderhill and elsewhere. It now sports an big roundfin 82mm x 90 mm motor, and its been relegated mostly to test mule status. It features 17” wire wheels F/R with radial race tires. 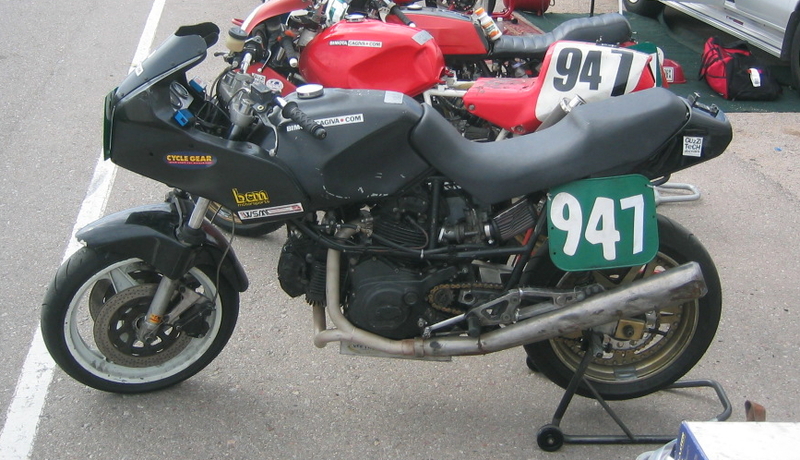 It also features period Marzocchi 38mm forks, and a Guzzitech braced and clearanced swingarm. This V65 started out as a $600 heap, and as a V65C (cruiser) no less. It’s now won races at Daytona two years in a row and continues to dominate in its class. 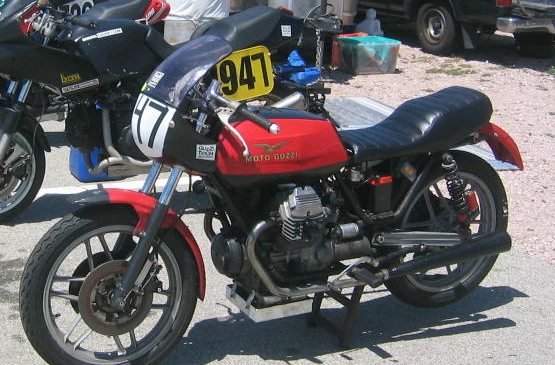 Engine and entire power plant were given a complete performance rebuild before race commissioning. It’s light (~300 lbs), relatively powerful (53hp) and very effective. 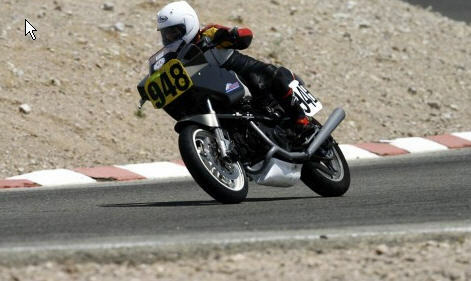 The mildest bike in our fleet, this 30 hp V50 has been ridden and raced at many national events including Sandia, Miler Motorsports, and Willow Springs. It sports a Marzocchi 35mm front end, and Guzzitech tapered roller bearing steering head. This is the ultimate incarnation of an Alazurra 650 in terms of weight, power and handling. 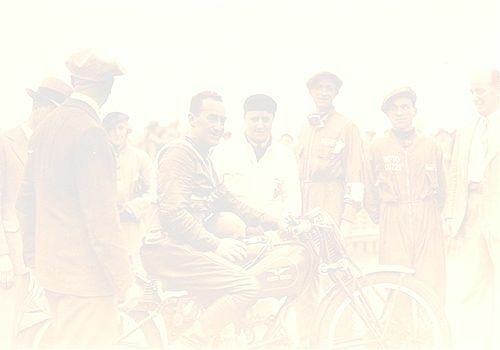 This machine was simply engineered to win races. 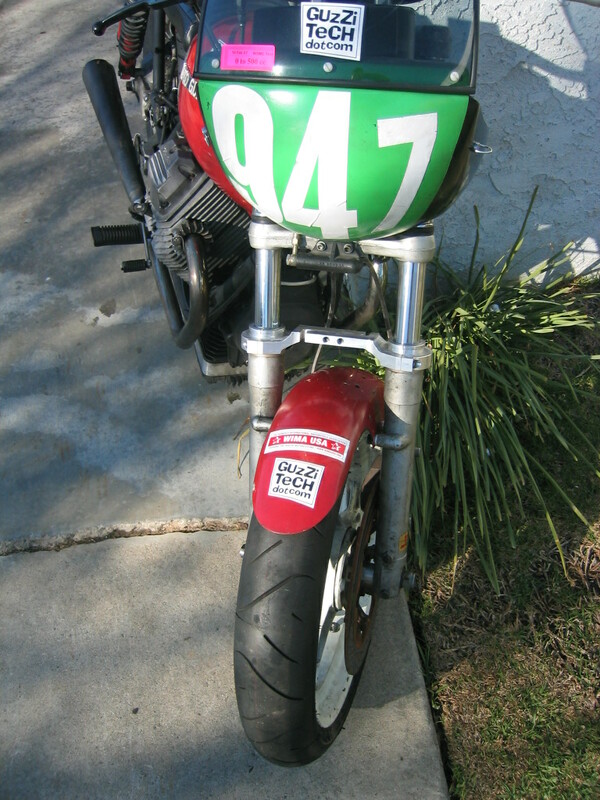 The frame is a handmade monoshocked chrome-moly Verlicchi racing frame. Everything else has been lightened or altered…295 lbs wet and 70 hp. 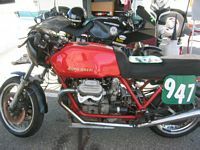 Alice’s main racebike, this Cagiva Alazurra based racer was featured in magazine articles in Motorcyclist, and Roadracer X. It features upgraded Ohlins rear shocks, 17” wheels running modern radial race tires.